HOME STAGING: WHAT IS IT? Home staging has been hugely popular in Australia and the US for many years but it is only just beginning to see a rise in demand here in the UK. Thanks to a slow and difficult property market sellers and landlords are now having to put a bit of effort in when it comes to marketing a house or flat. First impressions are key and that’s where us property stylists come in. 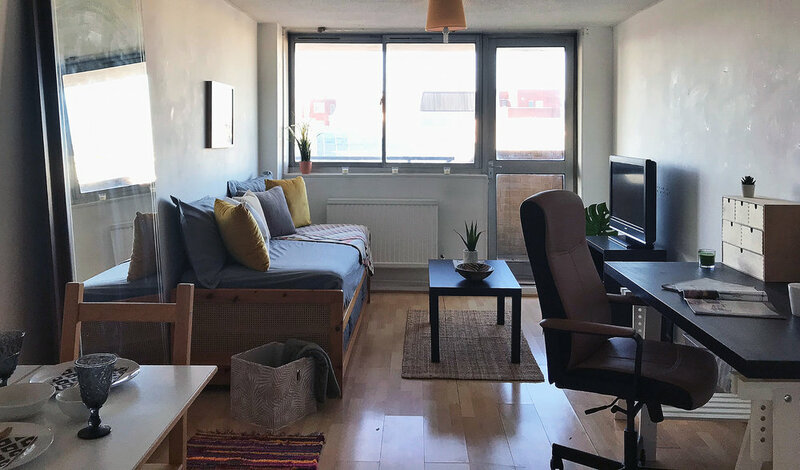 Our aim is to make each property appeal to as many potential buyers or renters as possible by presenting it at its best, enabling viewers to envisage how they could live in it. The stats* speak for themselves: on average, a staged home spends 50% less time on the market than a non-staged home and will generally sell for 8% above the asking price. The flat was arranged as a two bedroom with no discernible living space so the main aim was to return it to its proper function. I switched the furniture around and used the foldaway bed to create a day bed in the living room as the budget would not stretch to a new sofa. I also returned the dining table and two chairs to the living room and the large chest of drawers to the bedroom. After getting the whole place professionally cleaned I was able to start dressing the space with all the lovely goodies I had bought. 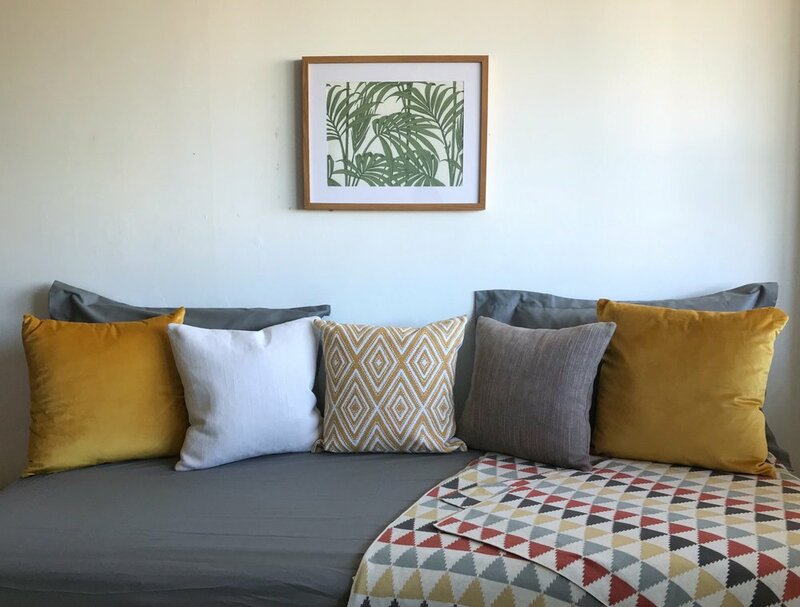 My plan was to add colour and using the day bed as a starting point in the living room I created a warm, globally inspired scheme using mustard yellow accents and lots of fake plants. The bedroom was fairly simple to dress as the furniture was there already so I just needed to add soft furnishings and accessories to give it a lived-in feel. 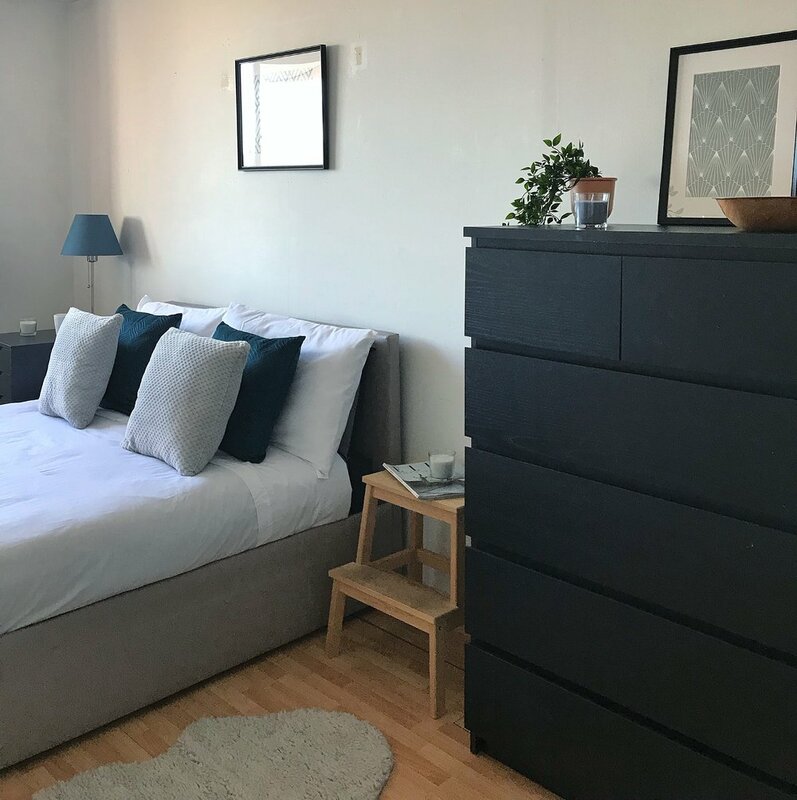 I chose teal and grey accents to complement the existing bed frame and black chest of drawers and added some artwork which I created using some wallpaper samples. Again, I added a few fake plants - it’s really amazing how they really bring a space alive (not to mention ironic!). I covered the existing bedding (which was black) with a white sheet as I think this always gives a nice crisp, hotel feel. Now I think it actually looks quite inviting, it would make a great Air BnB flat! And there you have it - one staged home ready to go on the market! It certainly gives a better impression than before, don't you think?